Another year of promoting the benefits of open data in Northern Ireland has come and gone, and with it, another OpenDataNI Challenge has reached a crescendo. Last year, we Challenged the developer community to create a teaching resource for our schools (read more on that here); this year, we threw the gauntlet down to NI’s post-primary & further education students, to meld science, tech, art and, of course, open data and get creative with it! 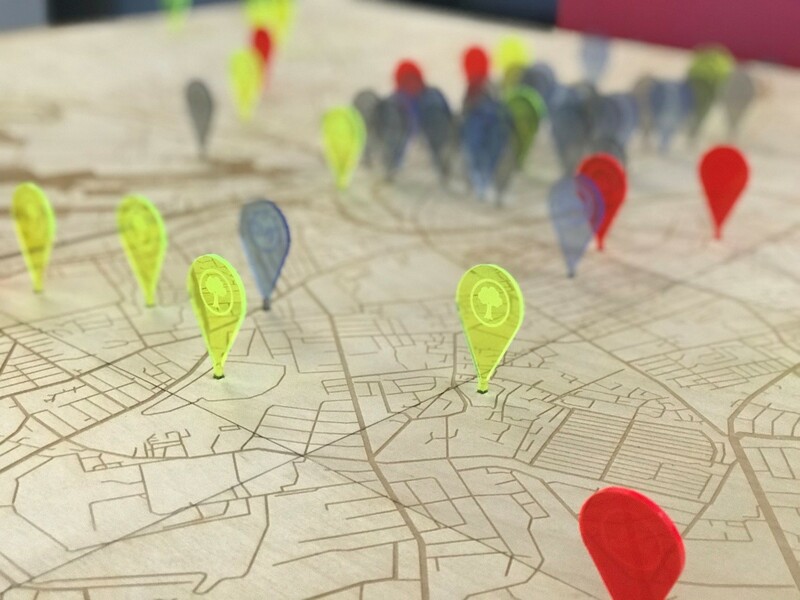 As part of the winners’ prize, each team, guided by our friends and fabrication experts FabLab, got to take their idea and create a physical representation of their chosen dataset(s) published on OpenDataNI. We wanted to provide an opportunity to show off the hard work & creativity of the project teams to a large audience of their peers and to the wider tech world. On Friday 4th May, the BelTech conference held its education day, BelTech EDU, and we were kindly given time and space to trumpet the achievements of our intrepid young data visionaries, as well as to present them with their well-earned rewards. 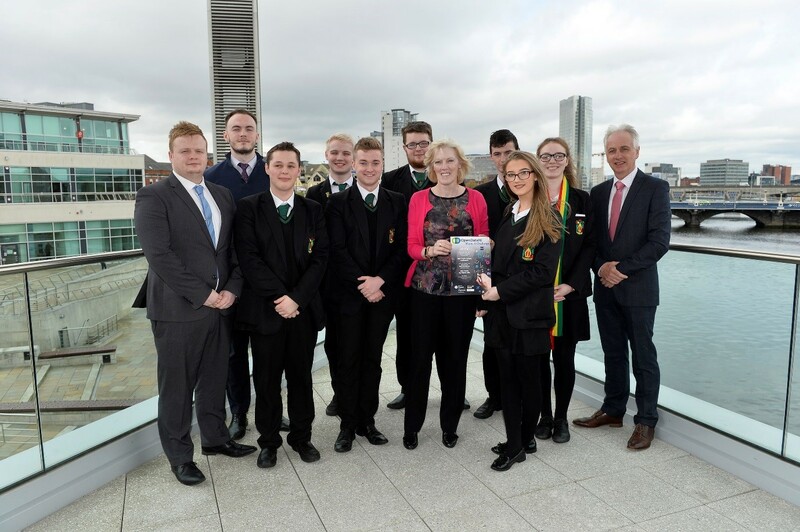 Fort Hill Integrated College, Lisburn, and their entry ‘Tourism in Belfast - Interactive Display’. 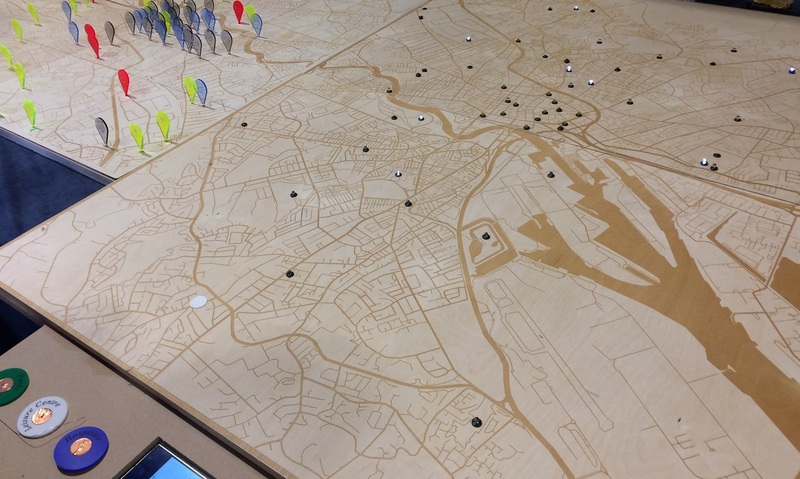 The 12-strong Fort Hill Integrated College team, guided by their technology teacher Kathryn McLaughlin, designed and built an interactive map of Belfast, showing location information for a number of attractions and facilities in the city, alongside text information for each category of landmark. “We all really enjoyed the whole experience of this competition and were really delighted at being chosen as one of the winning entries. The day we spent at FabLab was fantastic and we learned so much from the team that works there. It was amazing to see our OpenDataNI idea coming to life and then getting to present our final product at the BelTechEDU conference was something that will be a highlight of our GCSE years. Strathearn School, Belfast, with their entry ‘Historic Parks, Gardens and Demesnes in Northern Ireland’. 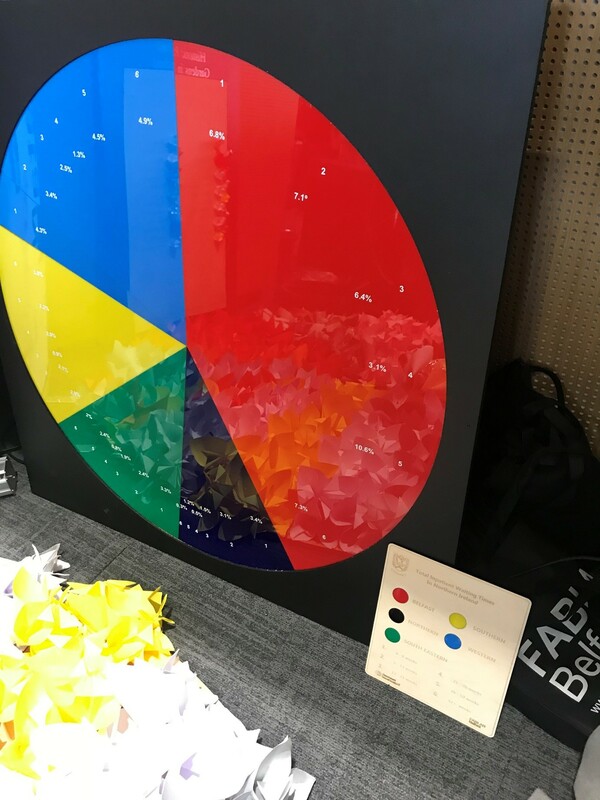 The Strathearn School team of 12 students, and led by their teacher Jacqueline Anderson, designed and built a visually striking pie chart, showing the numbers and geographical spread of all the parks, gardens and demesnes across all the council areas of Northern Ireland. 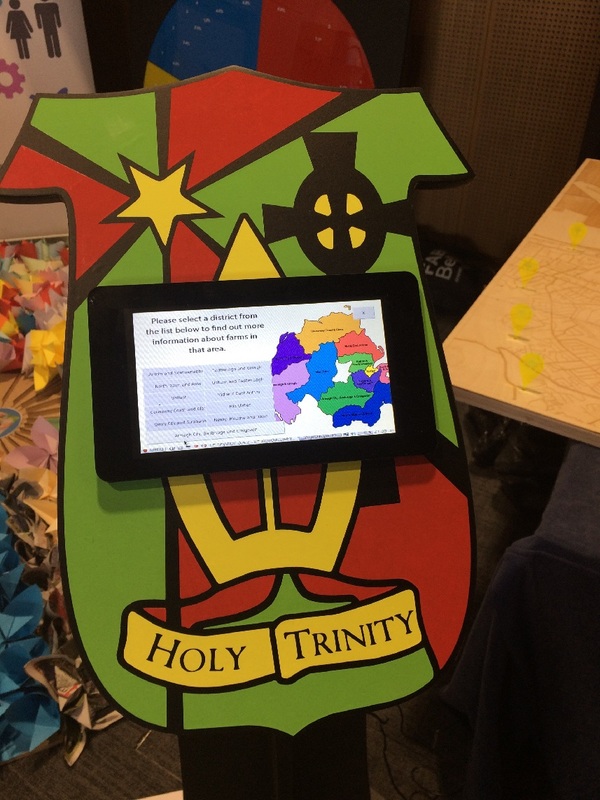 Holy Trinity College, Cookstown, for their winning entry, ‘Holy Trinity Agri Open Data’. The intrepid Cookstown team brought their creativity to bear with an interactive kiosk-style presentation, where the user can call up a range of agricultural data, such as numbers of farms by size range, as well as data on livestock numbers, for each council area and by year. Ably mentored by their school’s Director for ICT, Gerard McStocker, the Holy Trinity team of 8 students took a number of DAERA open datasets from OpenDataNI, and working with FabLab, coded and built their winning entry with the use of a Raspberry Pi processor, as well as creating a visually striking display mount for the interactive screen. Lagan College, Belfast, for not one but two entries; ‘A & E Waiting Times’, and ‘Belfast - Health & Fitness’. ‘A & E Waiting Times’ is a visual pie chart depiction of the waiting times data for patients presenting at hospital A & E departments across NI. ‘Belfast - Health & Fitness’ is a map visualisation, showing physical points where various facilities and stations relating to Health & Fitness are located in Belfast City. Locations of note include Belfast Bike station locations and Leisure Centres. 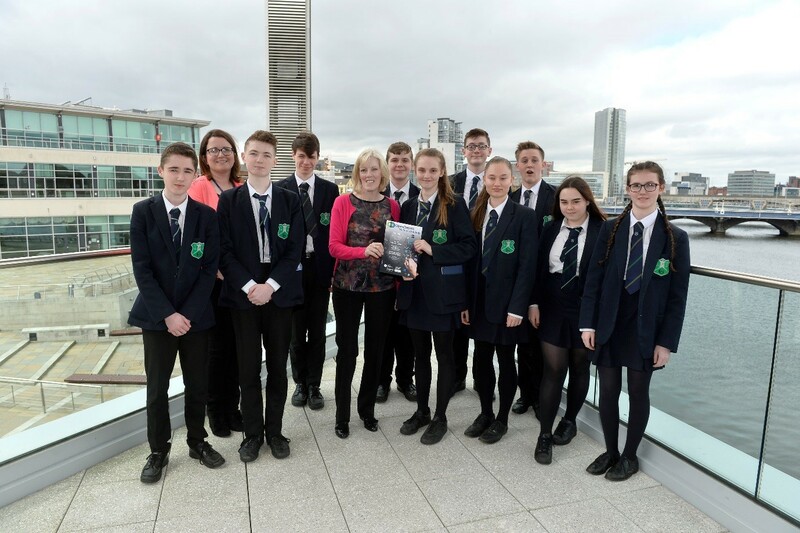 The Lagan College team of 3 students had submitted their entries with the help of their teacher, Claire Taggart, and they designed and built their visualisations under the guidance of Claire’s colleague, Brendan Hassan. 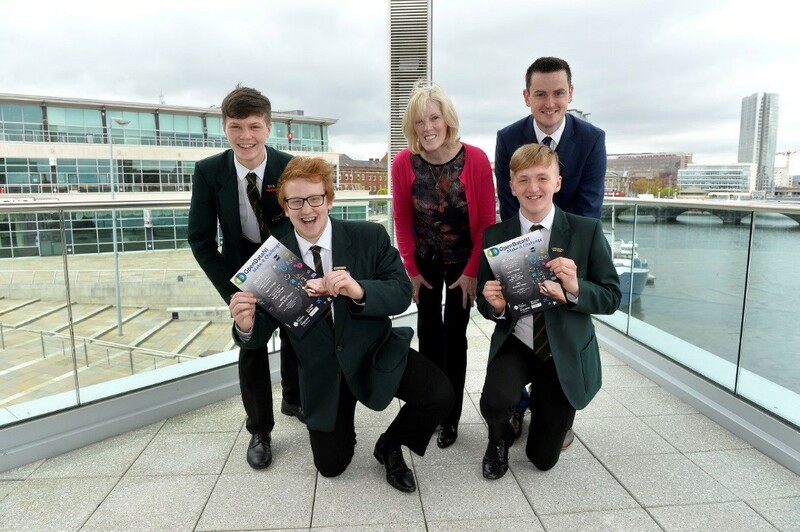 All in all, it’s been a blast, as our enterprising and innovative school pupils have shown how Northern Ireland’s open data can be taken and displayed in a visually striking and engaging fashion. We don’t yet know what lies in store for future OpenDataNI challenges, but one thing we can be sure of, the future for open data science is bright, in the capable hands of the generation of keen and enthusiastic students coming through in Northern Ireland’s schools.